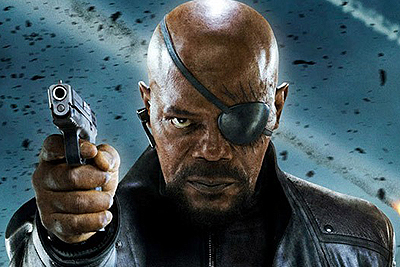 Samuel L. Jackson’s Nick Fury Returning for Thor: Ragnarok? When Samuel L. Jackson signed his 9-film Marvel Studios contract years ago, a lot of industry insiders thought that was wishful thinking. Now here we are with only two films left on said contract, and fans are wondering at what opportune moment Marvel may put the coveted “Sammy J. card” in play. According to Australia’s Gold Coast Bulletin, Jackson’s Nick Fury may play a role in the soon-to-lens Thor: Ragnarok as it takes over Village Roadshow Studios soundstages previously held by another Jackson blockbuster, Kong: Skull Island. One caveat to this article is a mention that fellow Kong castmate Toby Kebbell could also join Jackson and Tom Hiddleston in Thor based on his appearance in Fantastic Four, which shows little understanding that Fox’s 2015 superhero bomb has no relation to the Marvel Cinematic Universe. Given that we might take this info with a grain of salt, it’s still plausible that Fury would follow-up on his report at the end of Avengers: Age of Ultron of the downed Quinjet that may lead to The Hulk’s whereabouts in Ragnarok, where Mark Ruffalo is expected to team up with the god of thunder for an intergalactic road movie of sorts. As for Nick Fury’s place in the continuing MCU, Jackson made it clear to Collider last year that despite a ticking clock on his contract, he wants to continue in perpetuity, despite supposedly not appearing in May’s Captain America: Civil War. Thor: Ragnarok, aimed to close out the Marvel Cinematic Universe’s Asgardian trilogy, will see the return of Chris Hemsworth as the god of thunder with Tom Hiddleston as Loki and Anthony Hopkins as Odin. Cate Blanchett is also in talks to play the film’s villain. The “Phase Three” entry recently brought aboard 2013 “Black List” screenwriter Stephany Folsom. Previously, Christopher Yost and Craig Kyle have worked on the script. Thor: Ragnarok is set to open in theaters on November 3, 2017 in 3D/2D theaters and IMAX.